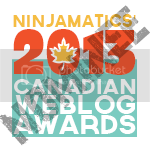 I want to thank Wendy Rose from www.CandyHeartsBlog.com for this guest post. She agreed to share some tips on how her family manages to go gluten-free in social situations without missing out on all the fun! 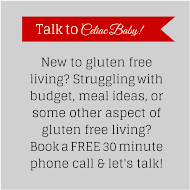 Please check out her fabulous blog for more great posts on everything gluten-free! Wendy Rose has been a Registered Nurse for 16 years. After spending most of her career at the bedside in the Emergency Room, the Post Anesthesia Care Unit, and Labor & Delivery, she currently works from home as a Pediatric Telephone Triage Nurse. Wendy’s oldest daughter was diagnosed with Type 1 Diabetes in 2005, at the age of 24 months and Celiac Disease in 2008, at the age of 5 years. Wendy herself was diagnosed with Celiac Disease in 2009. Balancing the demands of her daughter’s blood sugar management while maintaining a gluten-free lifestyle; on top of her role as wife and mother; in addition to maintaining her nursing career can be a challenge at times. 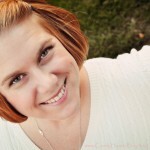 She documents her family’s journey at www.CandyHeartsBlog.com. Wendy and her husband, Jason, have been married for 10 years. They have three daughters, ages 7, 5, and 3. Wendy also has a 13 year old step-daughter who does not live in their area, but visits once a year. The family resides in the Sonoran Desert with their rescue dog, Ivy. Managing a gluten-free diet in social settings can be intimidating. With a little time and preparation, however, it doesn't have to be. When my daughter was diagnosed with Celiac in 2008, I was pretty sure we were doomed. We were already dealing with her diagnosis of Type 1 Diabetes a few years earlier, and I just didn't have the confidence that I would be able to rise to the (gluten-free) occasion. Fortunately, I was able to connect with some gluten-free veterans right away, and they were incredibly instrumental in helping to get us on track. I, myself, was diagnosed with Celiac in 9/09. By then, however, I had tackled the gluten-free challenge and was ready to win at this game. Below you'll find a list of common social situations, along with tips for managing them. Keep in mind that this is how we do things. My daughter had a repeat endoscopy 6 months after eating completely gluten-free, and the biopsy result revealed "No Evidence of Celiac." For both of us, repeated labwork continues to confirm that we have been able to maintain normalcy since returning to acceptable levels. These accommodations obviously work for us, but you will have to use your own discretion before implementing them into your routine. So, there's your disclaimer...now on with the show! Classroom and Birthday Parties: I make a batch of gluten free cupcakes using the modified GF Betty Crocker recipe found in THIS blog post. After they've cooled completely, I frost, decorate, and freeze them overnight in a single layer before putting them into freezer bags the next day. Then I keep half in the freezer at home and send the other half to be stored in a freezer at school. Whenever you need a cupcake, you just pull one out and it'll be thawed in about 15 minutes! For birthdays at pizza joints, I bring along our own pizza. At one of the most popular places in our area, I actually bring an uncooked pizza on a cookie sheet lined with foil, they run it through the oven, and then I slice it using our very own handy dandy pizza cutter. It works. And it's always fun! Potlucks: I generally bring the same kid-friendly dishes whenever we participate in a potluck...baked macaroni and cheese using THIS recipe (minus the breadcrumbs and usingJules Gluten Free instead of regular flour) along with a pan of Coconut Chocolate Nirvana Bars(HELLO DELICIOUS!!). Our family's favorite pastas include Schar and Quinoa, but I'm sure any gluten-free pasta would work well. By bringing both a main dish and a dessert, I am able to relax knowing that my daughter will enjoy the party with some of her favorite foods! On a side note, I NEVER have leftovers to bring home. Everyone raves over these dishes...it's a win-win! Who needs gluten? I also try to arrive a little early for potluck-style gatherings, and bring along some GF corn chipsand/or a box of GF crackers or Nut Thins. I tend to start perusing the various dips and whatnot before the line forms and, unashamedly, scoop out some of the the dips I deem to be GF so I can set them aside before the rest of the party begins contaminating them with gluten containing crackers and such. Sleepovers: We don't have much experience with sleepovers away from home. The bottom line is that sending Type 1 Diabetes to a sleepover is hard! There's all that carb counting and insulin dosing...not to mention at least 1 (though usually 2 - 3) finger pricks during the night, plus it's imperative that someone understand how to respond to each blood glucose reading. Type 1 Diabetes just makes it so complicated. For this reason, we're usually the ones hosting a sleepover. Anything I offer at the party will be gluten free. Whether it's popcorn with a movie, gluten-free sugar cookies to decorate, or gluten-free waffles for breakfast. No one ever complains, and there's never any awkwardness because this IS our normal. Speaking of those sugar cookies, I also wanted to mention that I keep some of that dough on hand in the freezer. You never know when you'll need a sugar cookie, especially around holidays. It seems that cookie decorating is a popular holiday activity. I bought a big tub of cookie cutters for every occasion...need a heart shape for Valentine's day? DONE! Pumpkin? Christmas tree? Kissing Hand, perhaps? Done, done, and done! Just pull off a chunk from the freezer, cut out the shape you need, bake and move on. Anyway, my daughter has participated in 2 sleepovers away from home. The first was at a neighbor's house, and the second was with a friend who is also raising a daughter with both Type 1 Diabetes and Celiac Disease. For obvious reasons, I didn't worry much about the latter, but I did spend a little time strategically planning for the first one. Fortunately, our neighbor is incredibly accommodating and understanding of the special dietary issues we face. I sent over a few gluten-free snacks (though she was already prepared with some of her own!) along with a frozen gluten-free waffle AND our gluten-free toaster for breakfast. What? Doesn't everyone bring their own toaster to a sleepover? No matter what social situation you're headed to, gluten shouldn't stop you. By creatively preparing ahead of time, you're sure to make some awesome memories while enjoying your favorite foods! Who says you can't have your cake and eat it too? Great piece Wendy! I tried a gluten-free, dairy- free (ugh) diet with my older son -- not the d-son -- but we eventually got off of it because it didn't help us any. So, we're totally on gluten, but I know what it's like to not be on it and I know it can be challenging when you're out. So, your article kept my interest. Nice work. Wendy, you make it sound so doable and with such grace. WE are so lucky to have you as a resource. Great post. Great post, Wendy. I agree with Reyna - We are SO lucky to have you as a resource! !